It’s autumn in Canada, and that can only mean one thing: awards season! 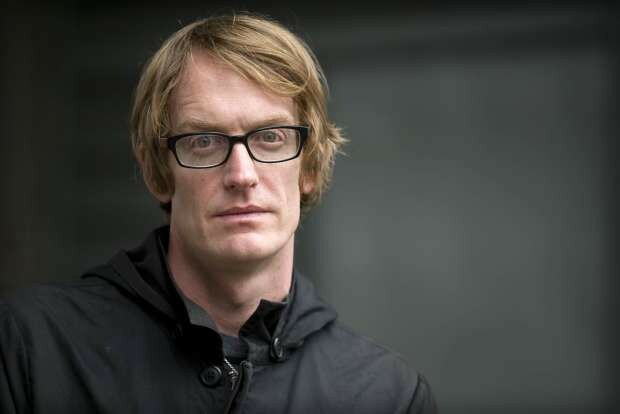 Yes, it’s time for the 2018 Scotiabank Giller Prize, and on tap is a novel that was one of five that made the Giller’s shortlist: Patrick deWitt’s French Exit. As luck would have it, two earlier books I reviewed this year also made the list: Sheila Heti’s Motherhood and Thea Lim’s An Ocean of Minutes. So having read three of the five books that made the shortlist means I can make (or attempt to make) an overarching comment about the quality of books up for the prize this year: It’s a pretty mediocre bunch. I wasn’t impressed with either of Heti’s or Lim’s books, finding them both just passable, and it is with a sad heart that I have to add French Exit to the mix. It’s unfortunate because I really loved deWitt’s The Sisters Brothers (now a movie that I desperately want to see) but reading French Exit was sort of like watching an author coast on autopilot. There’s not much point to this book’s existence, and that’s me being charitable. French Exit features a mother and son duo named Frances and Malcolm who are an upper-crust pair who find themselves suddenly insolvent and wind up moving from their New York City digs for Paris for no real reason. (Get it? Frances and France? Har de har har.) Accompanying them is their cat, named Small Frank, who apparently is Frances’ late husband reincarnated. Also accompanying them is a gaggle of characters, including a fortune-teller, a private investigator, a nosy neighbour, Malcolm’s ex-fiancée and anyone else the author mentions in the first third of the book as a minor character. The plot? Virtually non-existent. The characters sit around and wax philosophically, until the book ends. That’s it, that’s all — again, readers might be asking themselves, what’s the point of all of this? And how does this book get nominated for a major Canadian writing award? I don’t know the answer to that last question — were most of the 104 books submitted for nomination by publishers this year truly awful? — but I can say that the book is witty. At no point will you break out in uproarious laughter, but a smile may cross your face now and then. However, beyond that, there’s not much to recommend. The main characters are snobby and throw away money, making it hard to care for their plight. The secondary characters don’t add much — for instance, Malcolm’s fiancée reappears in Paris but never does the book suggest that they’re getting back together, which is a major plot thread left dangling. What’s more, the book is more interested in telling backstories about how troubled the main characters were coming of age without them adding much to the narrative. Which leads one to wonder what exactly is deWitt trying to say? Is a story about Frances setting fire to her home as a young girl meant to explain away why she is so frivolous with finances? Is the story about how Frances immediately went on a ski vacation when she discovered her dead husband without contacting the authorities meant to show how callous she is? You know, there’s a writing rule called show don’t tell, which deWitt manages to break often with glee and relish. I can say that the novel is at least mercifully quick to read. You can easily digest it in two or three sittings, and when I say “easily digest” I mean “skim through it.” Much of the stories that are told are quite boring and superficial, and there’s not much that happens once Frances and Malcolm make their way to Gay Paree. In fact, there’s no real reason for the pair to be in Paris except for the fact that it enables the characters to get away from themselves, perhaps. (If not get away from the annoying people that populate their lives in NYC, but, then again, they find a lot of those in Paris, so maybe the move wasn’t the wisest idea after all?) Yes, we know that Frances has an irrational desire to spend every last cent of whatever money she has — which makes her a terrible mother to Malcolm, who, by the way, lives with her. Shouldn’t she be more concerned with making sure that her son has something to maybe strike out on his own with, ignoring for the moment that he seems to be in a permanent state of arrested development? It’s stuff like that that makes you not care a whit what happens to these characters. In fact, the only truly interesting character is the family cat — and that’s saying something, especially considering (SPOILER ALERT!) that he basically disappears somewhere in the back half of the book, never to be found again. If I were a betting man, and my luck is horrible (so I may be wrong), I have a feeling that Esi Edugyan is going to repeat her Giller win from a few years ago with her new book Washington Black. I haven’t read it, but it’s about slavery, and any good awards jury has got to go ga-ga over a book with serious topical matter. As it stands right now, I’m really not impressed with the three Giller Finalists that I’ve read. Besides, Lim is too much of an outlier since her book is science-fiction, and while Heti is doing interesting things with narrative and biography, her book navel gazes a bit too much. So, in the end, there’s not much worth celebrating with this year’s Giller shortlist, in particular because French Exit is quite the underwhelming read. deWitt can do better than this, and he has, and the book marks a kind of authorial holding pattern — it’s the sort of thing someone would write while trying to figure out what to write next. It’s too bad; deWitt is usually dependable. Oh well, all I can really say is that if this marks the best in the crop of Canadian letters, do we really deserve a Giller Prize? Canadian authors have to try better — give us something we want to read and write it really well. French Exit is indicative of how a Canadian author (who lives in the States, by the way) does neither really. It’s too bad, but, I suppose as the saying goes, there’s always next year. Or the year after that. And so on. Eventually, we’ll get a book from deWitt that is worth celebrating in a fall season awards ceremony. For now, French Exit is not that novel, so my best advice would be to reread The Sisters Brothers and pretend that it won the Giller instead. 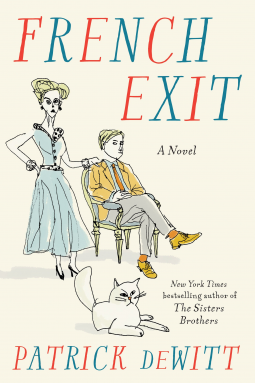 Patrick deWitt’s French Exit was published by House of Anansi Press on August 28, 2018. Of course, if you like what you see, please recommend this piece (click on the clapping hands icon below) and share it with your followers.